Thrift Energy Ltd - Central Heating Engineer, Electrician, Insulation, Renewable Energy based in Kingsway, Tyne and Wear. 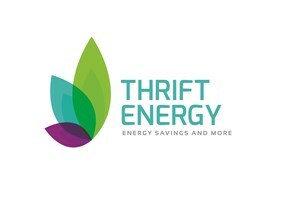 Established in 2012, Thrift Energy has fast become one of the most experienced Green Deal and ECO installers nationwide. We provide a wide range of installations from a highly qualified, skilled and friendly team and ensure that all our staff are qualified to the highest standards in order to deliver a professional and courteous service. An increasing number of businesses are beginning to recognise that becoming more energy efficient is not only good for the environment but also a valuable long-term investment. We provide expert advice and installments to both domestic and commercial clients, reducing carbon footprints and saving on energy bills. We also work alongside trusted companies for double and triple glazing installation. We offer complete guidance in our design and installation services for both commercial and domestic clients so no job is ever too big! Thrift Energy gained NICEIC Accreditation for PAS 2030 2017 for a wide range of energy efficiency measures. Additionally we have accreditations with BM Trada for ISO 9001, 14001 & OHSAS 18001. We are Gas Safe registered, OFTEC approved and operate as a Green Deal Approved installer, giving you assurance that all our work is carried out safely, legally and to the highest standard.